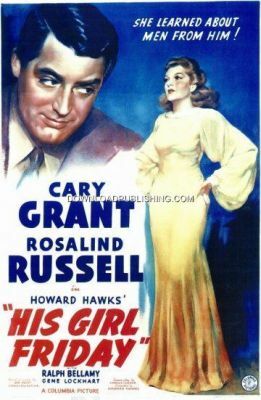 Walter Burns (Cary Grant), a Newspaper Editor, Has just been told by his recently divorced ex-wife (Rosalind Russell), that she is quitting (shes also his Ace Reporter) and engaged to be married in a couple of days. Walter tries everything he can think of to keep her from quitting and remarrying. He even frames her fiance of differet crimes. This film provides plenty of laughs and a cynical look at the Newspaper Business.